PennsylvAsia: The Art of Akira Returns through April 28. The historic and artistic significance of AKIRA cannot be denied; it was the pinnacle of cel animation. 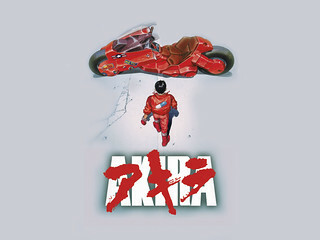 Complete with a definitive orchestral score and professional voice actors, AKIRA was the most expensive animated film ever made when it was released in 1988. The film is a document of many animation firsts but is especially noteworthy for being one of the last completely hand-drawn cel-animated features produced before the rise of digital technology. A collaboration of thousands of artists and thirteen Japanese production companies, this staggering adaptation has become one of the most universally praised films of all time and has inspired a revolution in animation still apparent over 20 years after its release. The Art Of AKIRA celebrates these incredible achievements by giving viewers a fascinating tour of the making of this landmark film. Toonseum is located at 945 Liberty Ave. in Pittsburgh's Cultural District (map), and is open 10:00 am to 5:00 pm every day but Tuesday.